A flexible, low-cost digital business communications solution for small and mid-sized businesses. 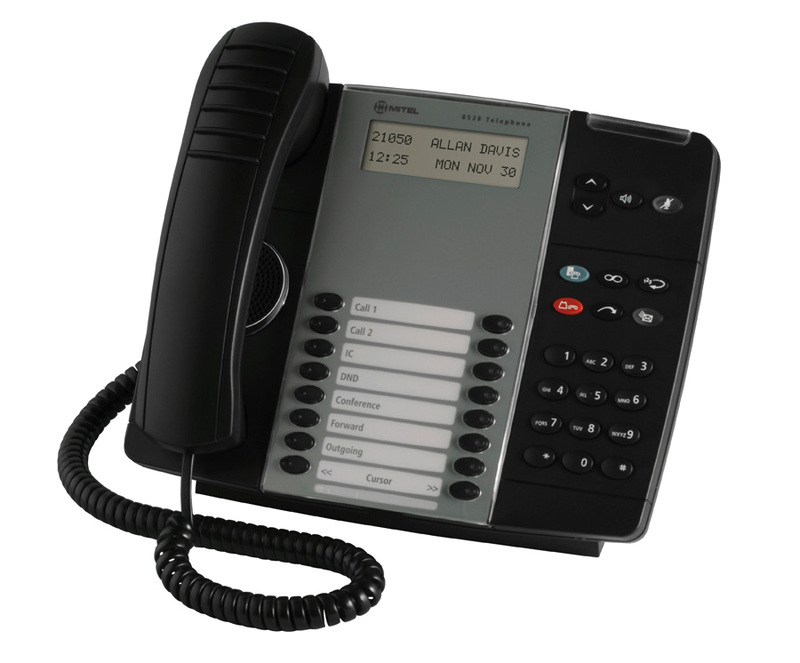 Mitel®’s 8528 Telephone is part of the digital desktop portfolio for the Mitel MiVoice Office 250 Communications Platform (CP). Ergonomically designed, this phone features a two-line by 16-character display for productivity-enhancing information such as caller details and call feature activation. Sixteen programmable multi-function keys and 10 fixed function keys allow one-touch operation for the most commonly used telephony operations or settings. The phone also features a built-in speaker and microphone, allowing you to answer station and outside calls hands-free, and to take advantage of on-hook dialing. The 8528 Telephone supports both the Mitel Programmable Key Module (PKM) 12 and the Mitel Programmable Key Module (PKM) 48 for additional programmable keys and DSS / BLF functionality. Support for the Mitel Unified Communicator® Express (UCX) and Mitel Unified Communicator Advanced (UCA) make this phone a powerful communications tool for small and medium-sized businesses.